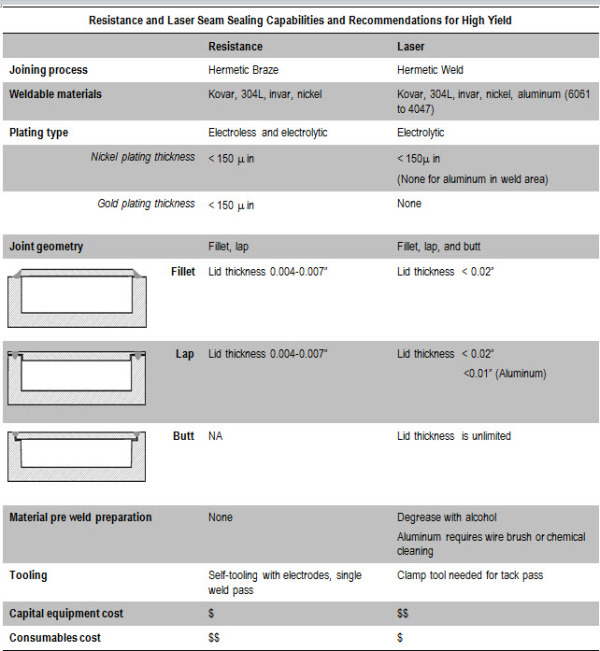 Seam Sealing Electronic Packages: Laser or Resistance Welding? Seam sealing electronic packages is typically the last critical step in the package manufacturing process. Since the completed product performs a vital function and has a high dollar value, creating a barrier to contamination ingress is essential. Whether it’s optoelectronic packages for fiber optic cables transmitting signals in the middle of the ocean, or aerospace RF/microwave packages performing essential functions, the importance of preventing external environmental conditions from penetrating the package just can’t be over-estimated.